Kenji walks the streets of london to his Grandfather's house. Turned down a street, seeing his gradfather's house was a warm welcome. His youngest ran to meet him and he said "Hello Kisa." patting her on the head. he walked his sister into the house and he bowed to his grandpa. "hello grandfather." "hey kenji come here, come on. come see what i built!" kisa said pulling her brother towards the backyard. "If i must kisa." he said wanting to see what his sister made yet not sure as to why she built something. "Come on slow pok...." she suddenly falls forward and startes to tumble down the stairs. Things in life are never the same and yet we never stop fighting for the things we can never change. "Kisa!!" he ran forward and grabbed her arm before she could fall all the way down tha stairs she's unconsious "NO!! KISA!! WAKE UP!!" 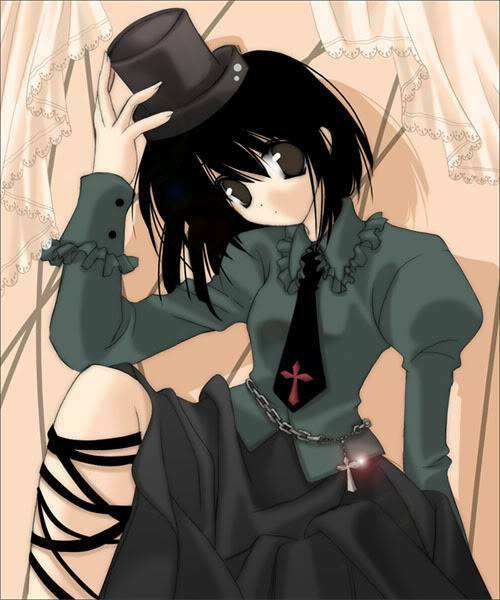 Her eyes flicked open "onichan*sp* what happened?.....i remember falling after that everything went black." she whispered. "you fell down the stairs and bumped your head hard so don't move ok?" he was so worried about her wondering if she'll have no permenant injuries to her head or brain. "You need to rest for the rest of the day ok? and i mean this too if i see you once out of bed, i''ll tell grandpa to ground you got that?" "Then have one of the maids help you ok. This house is huge and i'm pretty sure that one of them will be near enough to you to help you ok?" he lefted her side and went out in to the hall where their grandfather stood. Kenji said "she'll been fine for the time being but have a maid keep an eye on her ok? well i'm gonna go out and get some medicine and other stuff for any wounds that she might have at all. i'll be back in a few ok? don't worry she's tough and she's no girly girl for d**n sure." He headed to the front door, grabbed his clock from the house elf and muttered a thanks to him and walked outside. He turned down a coner and walked along the streets, hoping he wont get delayed while being out. He felt a sense of danger near but he couldn't quite understand what is was quite yet. he kept an eye peeled just in case something did happen. 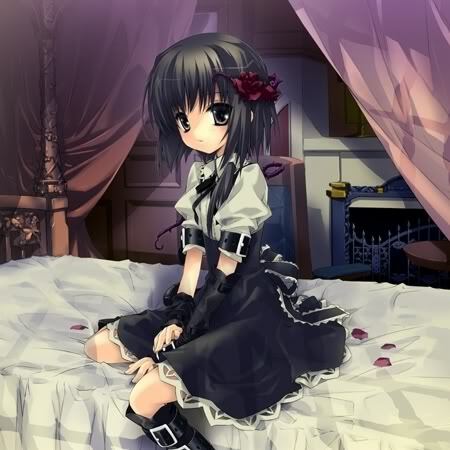 sighing she sat back on her pillows and watched the clouds outside her window. "Dinny? could you come here a sec?" she called to the house elf as he came into the room. "Could you get me that old photo album and another mask? this one's really dirty." he nodded " thank you and be careful please." she added as he left to get the things she had asked for. Kenji walked into the pharmacy and got bandages. He walked back to the house, he walked in sighed as he saw Dinny with the old photo album and a new mask for Kisa. He walked slowly and quietly behind him as he walked into Kisa's room.